Fulton High School's (IL) Chloe Lindeman has the top returning throw in the shot put with her mark of 48-feet two and a half inches. Lindeman threw that mark at the Illinois Top Times meet last March. In the weight throw, Pittsfield High School's (IL) Chandler Hayden has the top returning throw with her mark of 57-0.25. 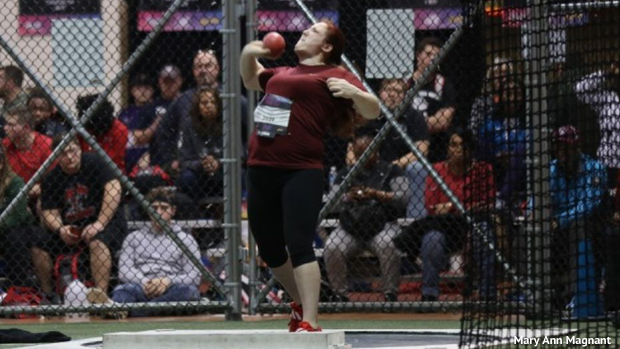 She threw that to place third at last years New Balance Nationals Indoor. Check out the full list of top returning throwers in the links below.